Like travelers who roam curious lands, oncologists who delve into tumor genetics may find themselves in need of local guides, experts who will put them on the right path. As far as oncologists are concerned, the right path is the one that leads to an effective therapy, but in difficult-to-treat cases, the path to the best treatment plan may diverge from familiar trails, with the twists and turns following the contours of a tumor’s unique genomic landscape. To make such landscapes less forbidding and the paths through them less tortuous, oncologists may consult with other experts such as basic scientists, geneticists, and bioinformatics scientists. Such a pathfinding exercise has, in fact, been carried out. At the University of California, San Diego Moores Cancer Center, researchers put together an advisory group, a tumor board, to analyze the results of molecular profiles. 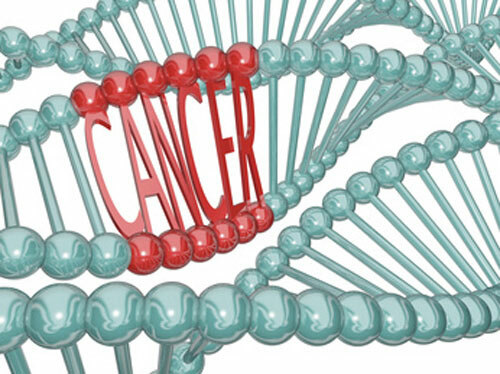 As explained by the researchers, who presented their work in the May 5 online issue of The Oncologist, the tumor board convened medical, surgical, and radiation therapy oncologists; biostatisticians; radiologists; pathologists; clinical geneticists; basic and translational science researchers; and bioinformatics and pathway analysis specialists. These multidisciplinary experts were then charged with discussing the intricacies of tumor genetics and tailoring a personalized treatment plan for difficult-to-treat patients. These patients were struggling with advanced cancer, had exhausted standard therapies, or were receiving treatments that physicians feared would become ineffective. The 34 patients in the study had received a median of three prior therapies. In addition, they had a median of four molecular abnormalities found by next-generation sequencing (182- or 236-gene panels). “Cancer can be different in every patient,” added Barbara Parker, M.D., Moores Cancer Center deputy director for Clinical Affairs. “Standard therapy can be very efficient for many patients, but for those who do not respond to conventional treatment, we need to find alternatives that will work for their disease.” In particular, it may be necessary to individualize therapy to a patient’s genetic makeup if that patient does not respond to standard care or appears to have disease that has become drug resistant.